The CAIS Association was founded on 20th May 1994 to support people suffering extreme poverty and social exclusion, notably those who are homeless, to regain independence and control of their lives. Access to human rights has, since its inception, been the key to promote and protect the autonomy of those people who have been marginalized from active participation in Portuguese society. With 20 years of experience, CAIS distinguishes itself today through a unique and pioneering mission of inclusion and intervention. Futebol de Rua is the football-based program/project carried out by CAIS. The project started in 2004 with a participation in the Homeless World Cup annual event and evolved into a nationwide project. CAIS is member of streetfootballworld network since 2005. 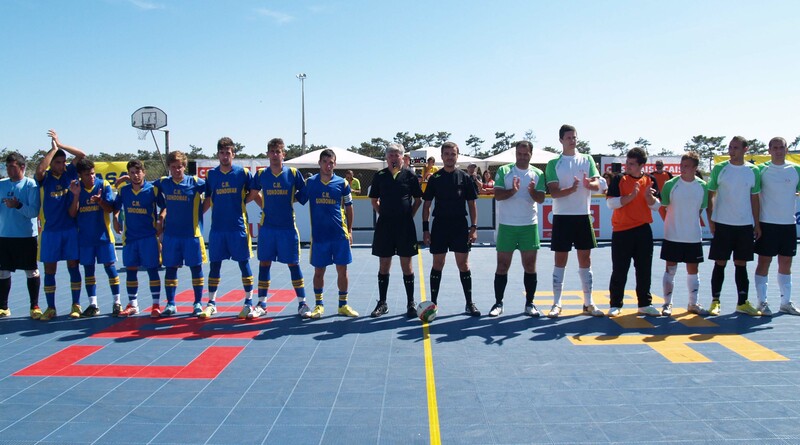 Third stage is the participation in international competitions, including The Homeless World Cup annual event. The teams that participate in the international competitions also do a training camp for preparation. The agenda for training camp is, once again, filled with cultural, social activities and workshops. Every year the national tournament reaches between 900 to 1000 participants and around 100 social workers and coaches all over the country and the Grand Final of the National Tournament has around 200 participants. The "move sessions", integrated in the MOVE project, started has an occupational activity for our clients and turned, in 2013, in an activity for the clients of all organizations in the Lisbon district. We deliver, 3 times a week, football trained sessions together with social skills sessions for all the participants. The goal is obviously to work and promote personal and social skills in informal environment. First stage will have 2 different workshops, one for professionals and one for participants. Second stage will be done locally, all over the country and will consist in workshops delivered to the professionals. Third stage will be done locally, all over the country, through our local partners and consists in workshops, for the participants at the same time then the local tournaments for the 2014 National Tournament. All the participating organizations should promote regular football training sessions together with other occupational, educational and employment activities and personal and social skills training sessions. Only this way is possible to guarantee that the participation is not isolated but actually integrated in the life change and that the use of football actually promotes empowerment.